With the rise of digital innovations when it comes to the shopping experience, today’s “eTailers” are equipped with a wealth of customer information — from age and gender, to sometimes even emotion. As such, merchants everywhere are following suit and jumping on the bandwagon — and ditching their cash registers for kiosks and other unattended, self-service retail technologies. As it turns out, 64% of Canadian consumers report that these self-service technologies improve their in-store experience, and 25% would not mind deliveries via autonomous vehicles, according to PMYNTS.com. 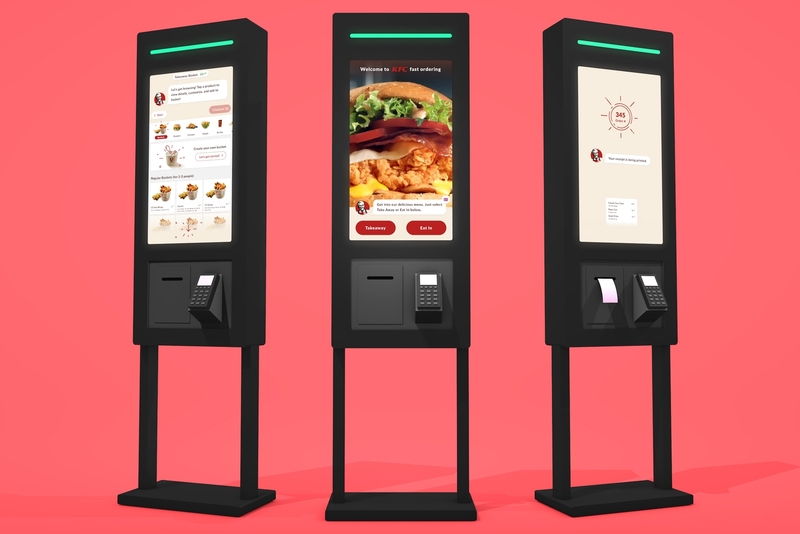 Taco Bell, another eatery under the Yum Brand umbrella, is also modernizing its restaurants with the implementation of kiosks to provide an elevated, digital experience for its diners. Customers can now view the menu and customize their choices and dietary preferences to their liking. From KFC to Taco Bell and beyond, these unattended retail spaces are taking experiential retail to a new level, and changing the game for the age of retail. Learn more about retail technology here.